Choosing the perfect full face mask might easily become a huge challenge. The market is simply invaded by a plethora of products offered by different manufacturers. 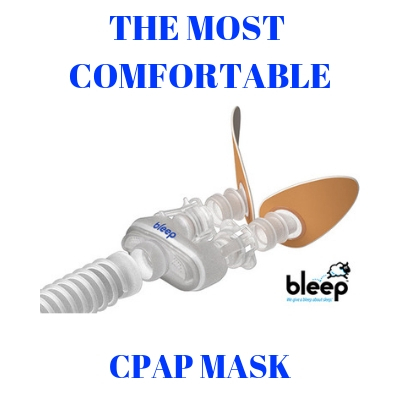 However, one of the first things you should consider when shopping for a full face CPAP mask is to select one offered by a top reputable provider. This way, you can rest assured that the components and the accessories are made of the highest quality materials and that you will benefit of the manufacturer’s guarantee even for up to 2 years. 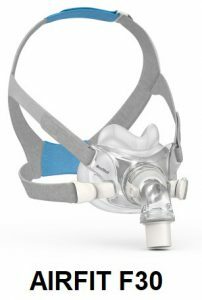 Two of the most popular minimalistic style full face masks are the Amara View offered by Philips Respironics and the AirFit F30 offered by ResMed. Both masks were created with the main focus on comfort, therapy compliance, and high efficiency. Let’s check out the main representative features of each mask so that you can make a well-informed decision when buying. This is a lightweight full face mask designed with user-friendliness in mind. Even first time CPAP users will feel extremely comfortable and become quickly compliant with required oxygen therapy even at higher pressures. The mask has an overall minimalist design, so those looking to avoid bulky and heavy masks will make a perfect choice with the Amar Full Face mask by Respironics. The mask helps to provide a very gentle, soft yet highly secure seal. Patients will not experience skin irritations or red marks on the face or around the bridge of the nose. The mask is made up of only 4 main components: the one-piece frame, soft and comfortable cushion part, the Headgear and a short and flexible tube. You can easily and quickly adjust the frame to fit your comfort levels by pulling the mask right over your head and then adjusting the cushion over your nostrils. The cushion is designed with innovative technology, so there is no need to over tighten the headgear in order to enjoy a comfortable and stable fit. With Amara View, the manufacturer truly simplified the design of a full face mask, while focusing intensely on offering patients maximum security, efficiency and quick compliance for their required treatment. Within packaging, you will receive the following: the mask frame, the cushion, a short mask tube, the headgear and the headgear clips. There are also plenty of replacement parts that you can purchase whenever you need to make such replacements. These include the Respironics Amara View Headgear, Amara View replacement cushion, headgear clips for the full face mask or the Amara View Quick Release short tubing. AirFit F30 is yet another high-performance full face mask, promising minimal coverage yet maximum performance for your required treatment sessions. This mask will sit somewhat lower on your face providing you with a clear line of sight. The mask also covers only small portions of your face, which means there is less interaction of the parts with your skin- no more irritations, red marks or discomforts. With this full face mask, you can comfortably wear your glasses, read, watch TV or even sleep on your side without feeling any discomfort. The mask features QuietAir Vent, which ensures the mask is actually much quieter than the ambient noise in your room. You can easily put on and take off the mask thanks to the quick release magnetic clips. The mask also allows for a fast first time fit thanks to the one size fits all headgear component. When you purchase the AirFit F30 full face mask, this is what is included in the box: the innovative mask frame, one size fits all headgear, 2 magnetic clips, and the full face cushion. As you can easily note, these masks are quite similar and they are available at similar prices too. Both are minimalistic full face masks with a focus on patient comfort, a free field of vision, compliance and the best performance. The AirFit F30 sits a little lower on your face, so it can be easily said that it provides a wider field of vision. Both masks are available with plenty of replacement accessories. Whenever some parts wear out, you can purchase them and replace them with great ease. The replacement parts are inexpensive and made of the highest quality materials. Resmed F 30 Full Mask ist not usuable.I always have big leckages.I tried erverything.No chance.Mask ist not even so usefull as Resmed would like to tell you.Absolut wrong Byu!! We are sorry to hear you do not like the AirFit F30. My guess is that you were fitted incorrectly and/or the straps are not adjusted correctly. It is about size and if you do not have the correct size any mask will appear to not work on you. So many medical equipment companies do not take the time to correctly fit a user and there lies the problem. 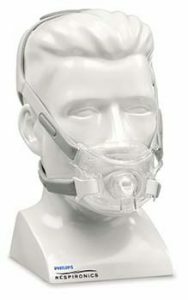 In the second paragraph of your opening statement, it says: “Two of the most popular minimalistic style full face masks are the Amara View offered by ResMed and the AirFit F30 offered by Philips Respironics.” This is backwards, the Amara View is made by Philips Respironics, and the AirFit F30 is made by ResMed. You are a 100% correct. Someone needs to review their work more closely. We apologize for the error and thank you for pointing it out to us. It has been corrected. No it will not but stay tune as there will be a Silent Night Mask Liner coming out soon for that mask. I tried the Amara view for a while and I had a problem with the exhaled air blowing up and into my eyes and forehead. Is the F30 the same? I like the AirFit F30 a lot. I am not a fan of the Amara. To me you cannot feel the exhaust vent of the F30 blowing at all. Error, the cushion does not touch the bridge of the nose. I have just changed from the Amara View to the AirFit F30. I had found the former to be an excellent mask, however, for me it took a lot of fine tuning of strap tension to minimise leakage. I achieved by far my lowest AHI using this mask, sometimes as low as 0.2 and rarely above 2.0. I have been using the F30 for a few days now and adjusted to it much quicker. The strap tension doesn’t seem to be so critical, however, I found that the magnetic clips can easily pop off if the lower straps are not reasonably tight. The most impressive thing for me is how quiet the mask is and how little of the vented air can be felt. I initially thought my machine wasn’t running as it was so quiet. Early days but I prefer this to the Amara View at the moment. AHI so far 0.9 to 2.8. A lot will depend on the shape of your face as to which mask is right for you.